Finished in Harris Tweed fabric to front and nylon fabric to the back with a nylon interior, nylon front panel and Velcro fasting on the flap. The Harris Tweed genuine label is mounted onto a PU leather border sewn onto the front of the case to make this the perfect unisex gift. 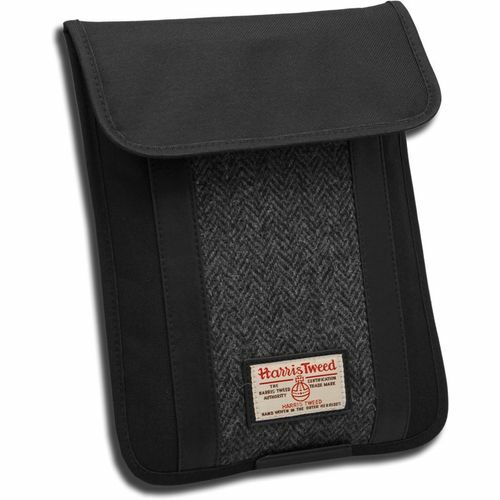 The fabric of the case is a traditional Grey herringbone design of blues/grey and black, and provides a classic British Look.